It’s official: Ayanna Pressley has completed her quest to become Massachusetts’ first black woman elected to the US House of Representatives. 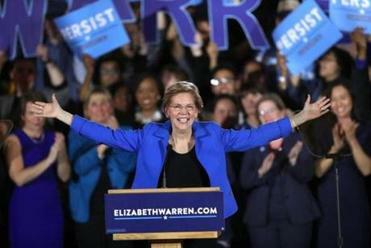 The Democrat sailed through Tuesday’s general election unopposed, two months after stunning 10-term incumbent Michael Capuano in the primary. The high-profile Cambridge Democrat has frequently sparred with President Trump. Will she now turn her attention to a run for the White House in 2020? Endorsed last month by former President Barack Obama, she got a big early boost from fellow congressional upstart Alexandria Ocasio-Cortez, who similarly knocked off veteran Representative Joe Crowley of New York in June. ‘‘With her victory tonight, Ayanna Pressley has not only made history as the first black woman ever elected to represent Massachusetts in the House, she’s ensured that Democrats have the voice of a young, black progressive woman helping lead the fight for inclusive populist reforms,’’ the political action committee Democracy for America said Tuesday night in a statement. The district includes a wide swath of Boston and about half of Cambridge, as well as portions of neighboring Chelsea, Everett, Randolph, Somerville, and Milton. It includes the neighborhood of Roxbury, the traditional center of Boston’s black community. ‘‘I do think that our democracy is strengthened by an engagement of new and different voices,’’ she told college newspaper editors in Boston in October.